The end of May is quickly approaching and with that the end of Better Hearing Month. Here are six things you can do to ensure you are maintaining good hearing health and preventing against hearing loss today and in the future. Schedule a hearing evaluation. Having your hearing evaluated by an audiologist is important. According to the Centers for Disease Control and Prevention (CDC), one in four American adults who say they have good or excellent hearing actually have hearing loss. Hearing loss typically is a gradual process, which can make it difficult to recognize until it becomes a significant functional problem. Diabetes, cardiovascular disease, sleep apnea, smoking, kidney disease, and rheumatoid arthritis are linked with an increased risk of hearing loss. 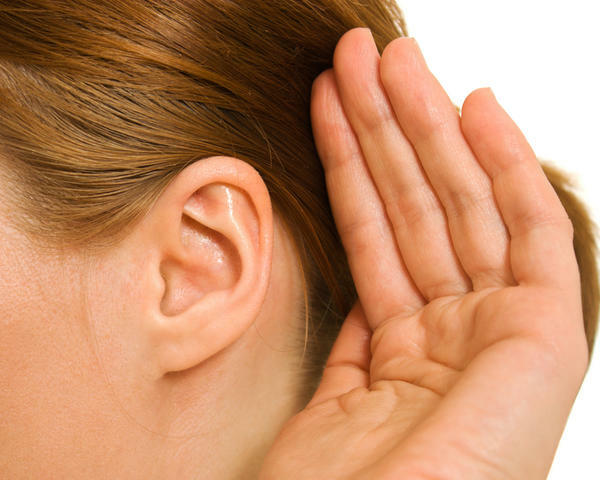 People with those health concerns should have their hearing annual evaluated. Like any other health concern, early intervention is important with hearing loss to ensure the best outcome. Protect your hearing. Exposure to loud noise is one of the leading causes of hearing loss and accounts for about 1 in 3 Americans who have hearing loss. Noise loud enough to damage hearing can be from many different sources including: power tools, lawn mowers, concerts, sporting events, shooting, motorcycles, and much more. Wearing hearing protection when exposed to loud noise will help prevent against hearing loss. There are many custom and non-custom hearing protection options available for different listening situations. Talk to the audiologists at Mile High Hearing about the best option for you. Schedule your annual physical. Hearing loss is linked to many other health concerns including: depression, dementia, diabetes, cardiovascular disease, sleep apnea, kidney disease, rheumatoid arthritis, and an increased risk of falls and hospitalization. It is important to see your physician for annual physicals to discuss any health concerns and screen for underlying health problems. Maintain good overall health. Exercising and eating well are important for good hearing health. Being overweight makes it more difficult for your heart to circulate blood, which includes getting blood to the small structures of the ear. Not smoking or quitting smoking is also important to good hearing health. People who smoke are twice as likely to have hearing loss compared to people who do not smoke. Smoking restricts oxygen in our bloodstream, which can permanently damage the sensory cells in the inner ear. Stop using cotton swabs in your ears. Ear wax is produced by glands in the ear canal and helps protect the ear canal and ear drum from dust, small particles, and infection. Ear wax typically migrate out of the ear canal by the natural process of skin growth and jaw movement from chewing and talking. Cotton swabs stop that natural process and pose a risk of injury to the ear canal and ear drum. Find another use for cotton swabs (craft projects, make-up application) and talk to your physician and audiologist if you have concerns about ear wax. Educate yourself and others. Learn more about the hearing system, causes of hearing loss, how to prevent hearing loss, and treatment options for hearing loss. The Audiologists at Mile High Hearing strongly believe in patient education and make it a focus during appointments so that people can make good and educated hearing health decisions. Pass on your knowledge about hearing health to others so they can reap the benefits as well.